Syrian government forces today made dramatic gains in retaking the last major population center still in rebel hands, eastern Aleppo. 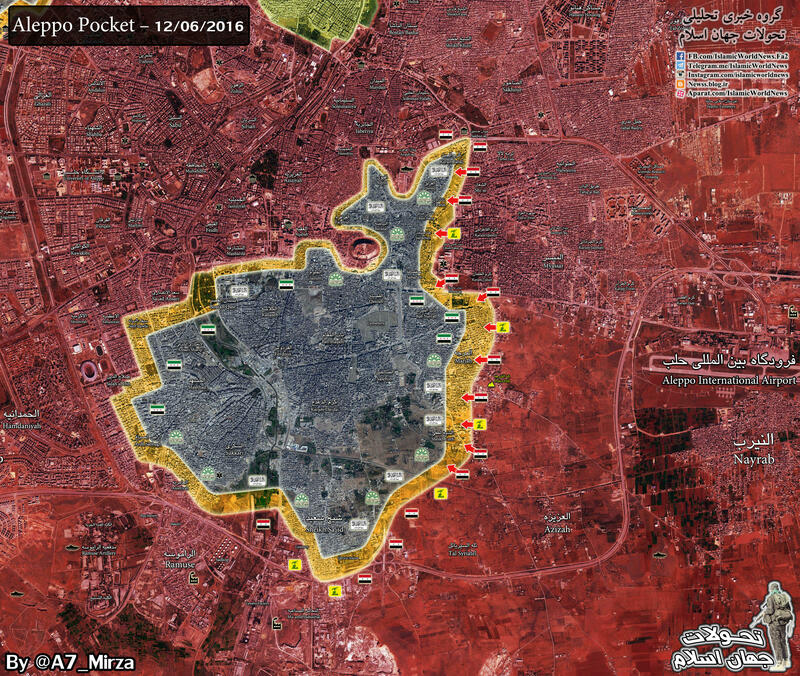 First the Syrian army retook several neighborhoods on the eastern side of the divided city, and then late in the day they re-took the old city on the northwestern side of eastern Aleppo. Though the BBC spin on the victory of Syrian government troops over mostly al-Qaeda forces in Aleppo is predictably biased toward the rebels, even that British government mouthpiece reported on the residents of Aleppo finally returning to their homes now that the jihadists have been routed. According to some reports, more than a thousand Aleppo residents have returned to their homes. The rebels are confined to less than 15 percent of the territory they once controlled in Aleppo and although some have claimed they will fight to the finish, hundreds have already accepted — or are negotiating for — either amnesty or resettlement offers by the Syrian government. Yesterday, Russia and China vetoed a UN Security Council draft resolution calling for a ceasefire in Aleppo. After more than five years of US and western regime change policy for Syria, the country is in ruins. The regime change has not succeeded, but the destruction is near total. Will Washington learn from the interventionist disasters in Iraq, Libya, Syria and elsewhere? Will the Beltway interventionists ever apologize for the death and destruction the policies they advocate have wrought?